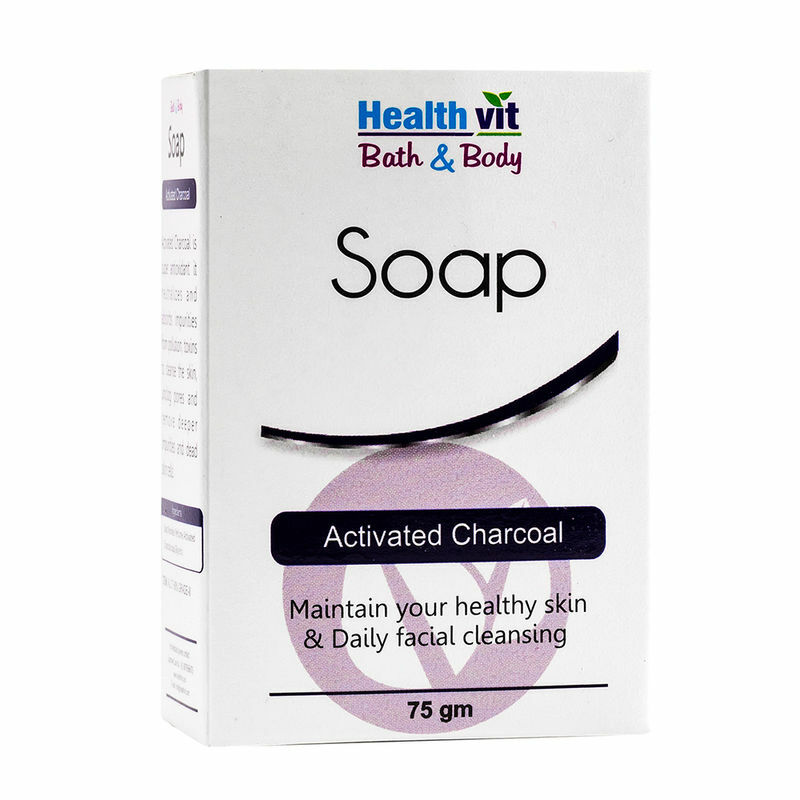 HealthVit Bath & Body Activated Charcoal Soap has super antioxidant formula, it neutralizes and absorbs impurities from pollution and toxins to cleanse the skin, unclog pores and remove deeper impurities and dead skin cells. It cleans, clears & refreshes the skin. It rejuvenates the skin by detoxifying and deep cleansing. It nourishes your skin, giving it a healthy glow. Explore the entire range of Soaps available on Nykaa. Shop more HealthVit products here.You can browse through the complete world of HealthVit Soaps .